Does anyone else feel a little sorry for gluten these days? I know — it’s a strange thought. But I think gluten is being painted as a bad guy more often than is warranted. Think about it: gluten-free foods are at the top of the list of latest fads. Surely half of Trader Joe’s inventory these days has the words “gluten free” stamped onto the packaging. Now, let me add a caveat here. I know there are people who are truly gluten intolerant, and for these people I know the abundance of gluten-free options has made a significant difference in their diets. I’m thrilled that this population is able to easily access foods that make their lives easier and more delicious. But for most of us, gluten isn’t a harmful food. Instead, it’s a protein that helps give elasticity and a delightful chewy texture to breads and other foods. While I was making bagels last week in preparation for my family’s Easter weekend visit, I was thankful for the gluten-rich bread flour I was using that helped make the bagels turn out just right. Certainly, many people who aren’t gluten sensitive have chosen to remove gluten from their diets to avoid an abundance of processed foods (which gluten is often present in), and that’s great news. But I believe you can also go overboard with gluten-free foods. 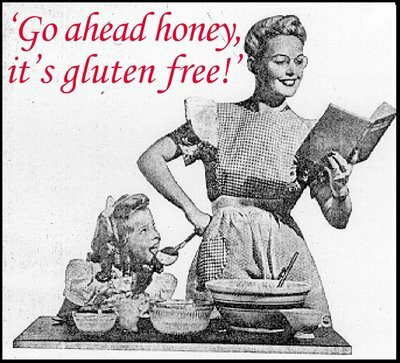 “Gluten free” isn’t synonymous with “low calorie” or “healthy.” It just means the product doesn’t contain gluten. Actually, if a person isn’t a careful label reader, he or she might be looking over healthful, whole grain, fiber-rich options in favor of a more processed — but gluten-free — product. Bottom line: when it comes to things like homemade and whole wheat breads, pastas, and bagels, I can’t help but be a proud supporter of gluten. Thanks for making the world a chewier, more well-risen place for all sorts of foods, gluten.